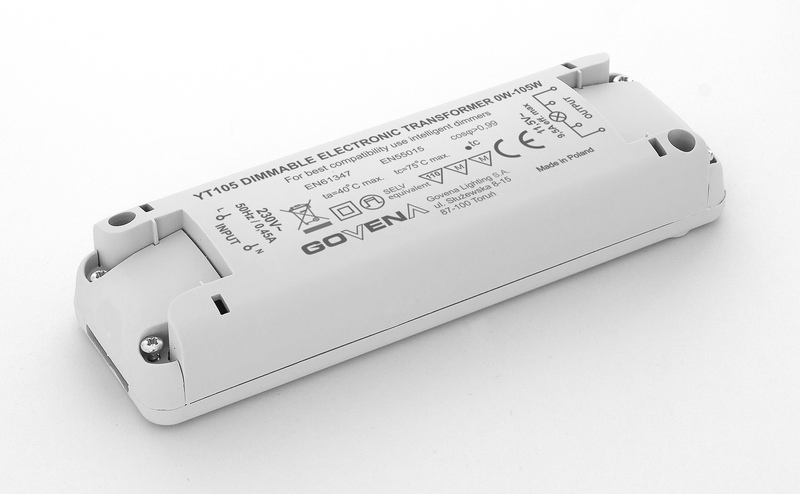 YT transformers – Govena Lighting S.A.
Transformers are dedicated to working with, among other things, low-voltage halogen lamps. 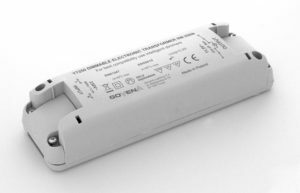 They operate in the full range of power from 0W to a nominal value and no minimum load is required for proper operation. 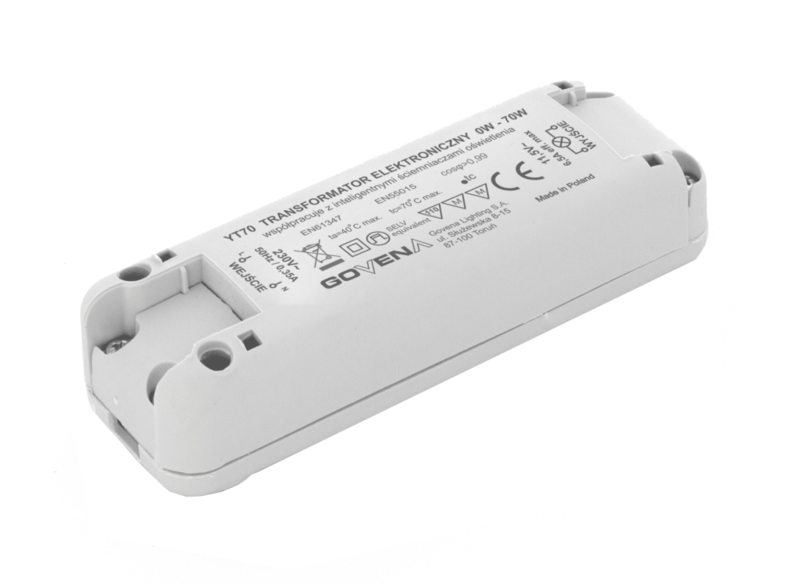 This functionality is ensured by a state-of-the-art method of load matching, and gives the user great flexibility when it comes to the type and number of lights connected to the electronic transformer. Other electronic transformers always have a minimum load value, which imposes a minimum number of lights, below which the system will no longer function properly. Transformers can also be successfully used to energise 12V LED lamps if the lamp manufacturer ensures correct operation with electronic transformers. enjoy a doubled life of halogen lamps, which is possible with a precisely set supply voltage of 11.5V. 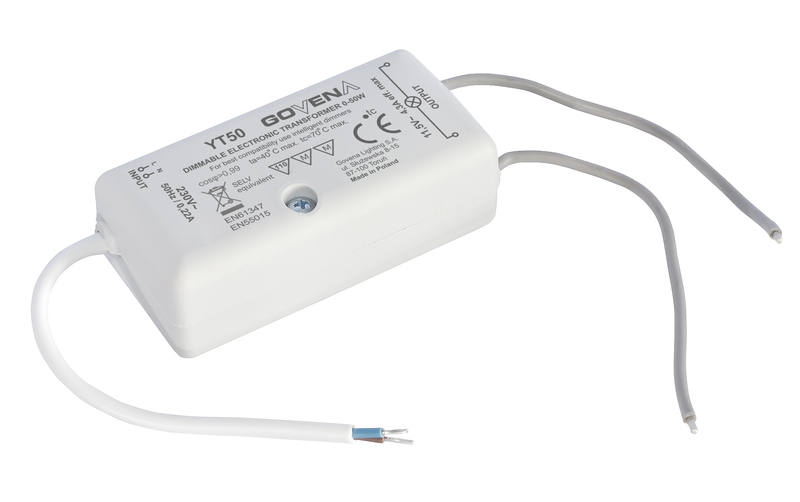 Unlike conventional transformers, Govena transformers are free from drawbacks, such as output-voltage spread and current surge when switching on. instant installation without additional materials. returnable thermal protection (switch-off temp. 100°C). 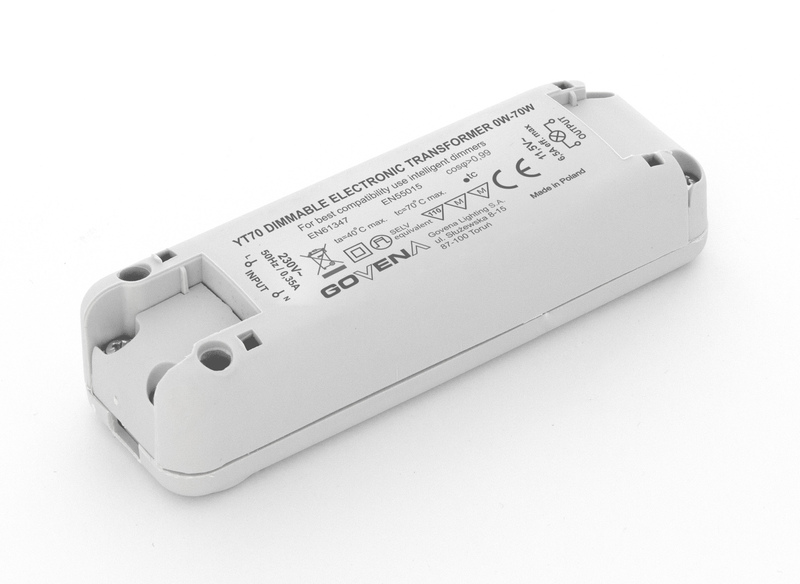 These protection devices do not damage the system (they turn it off automatically) and when abnormal conditions no longer exist, the electronic transformer will function properly (it switches on automatically). This guarantees a completely failure-free operation. It is not allowed to switch between the electronic transformer and the light source. The manufacturer of LED sources should provide information on the capability of energising LED sources directly from the transformer; otherwise it is necessary to use the KYT50 converter or use the TE electronic transformer.